Arktau Eos seem to have become the flagship project for the Aural Hypnox label. Since their debut, Mirrorion in 2006, Arktau Eos have quickly found a solid fan-base, which rabidly follows their every release. Erēmos shows fans, yet again, why Arktau Eos is esteemed so highly in the ritual ambient community and beyond. But, as has recently become less unusual, Arktau Eos have taken a step further into the unknown, expanding into new sonic territory as they transport us far from their mysterious Katajan Kaiku lodge in Northern Finland to the vast arid Mongolian steppe. I am seeing Erēmos as a sort of connector between two worlds. The two places where Arktau Eos captured field recordings for the project were the initiators of this idea for me. I found it interesting and slightly strange that they would use field recordings from so far away as the Mongolian Steppe, and to then somehow connect these recordings to those captured in the northern Ostrobothnian woods of Finland. These disparate ideas can begin to reveal how they are connected as we look to the track titles on Erēmos. “The Liminal Pilgrim” seems to be the indicator that we are about to experience a sort of pilgrimage, within the mind, to a place distant in time and space. It also indicates for us that this is a journey in solitude, not a cult attempting to make a grand movement, but a sole individual, seeking further enlightenment in realms unknown. 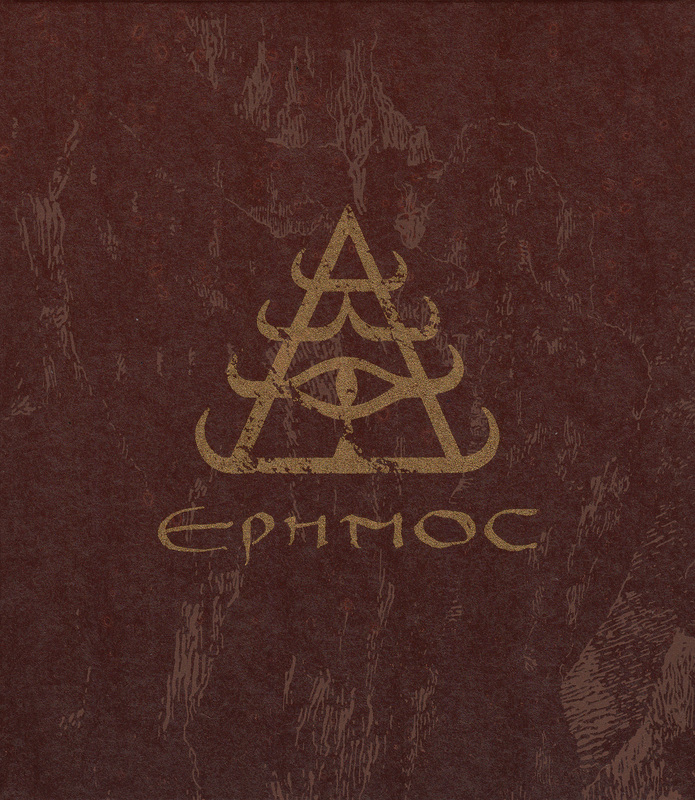 This is further alluded to by the album’s title, Erēmos, which takes its meaning from the Greek “eremites” – person of the desert. “He Who Drinks the Light of the Stars” seems to have a strong ritualistic feel to it, even more so than the previous tracks. This seems like a point where the meditator makes a sort of extra sensory move into the ancient lands of the Mongolian steppe, as they sit in their native Finland, gazing into a clear night sky. Or, they could even become conscious through the physical vessel of some native Mongolian of the past. This theory could follow nicely to the next track “Autochthon”, which here would likely refer to the birth of this human vessel within his own land of the Mongolian steppe. The track has a strong Eastern feel to it and Arktau Eos brings us into this new land smoothly using field recordings, not to mention the use of a plethora of other sounds which all help to build up this impressive sonic tapestry. I will decline to make any further evaluations on this narrative presented by Arktau Eos. Various artists from Aural Hypnox have made it clear in the past that their albums should be a point of personal enlightenment and need not be too actively directed by the creators of the music. Though, with that said, Erēmos does seem to have a decent bit more specifics built into itself, through the album’s description and the track titles, than we are used to seeing from Aural Hypnox artists. A further adjustment seems to have been made on this Arktau Eos project. As alluded to earlier, Erēmos is a natural progression further into new territory. Arktau Eos, and Aural Hypnox as a whole, have been testing the grounds of synthetic sounds more courageously over the last few years than could be witnessed on most of the label’s earlier releases. 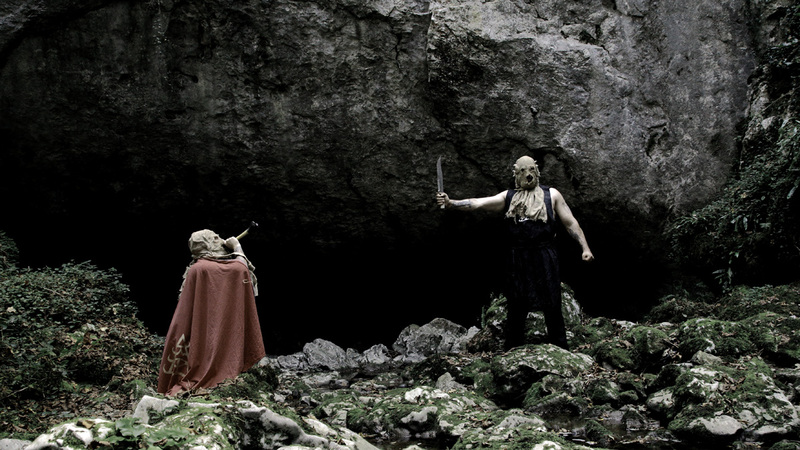 Though, as we have seen on an album like Zoät-Aon – Star Autopsy, a strict adherence to tribal/culturally-relevant instruments and other natural instruments like the voice, bone-flutes, or acoustic guitars is not necessary to create the same level of transcendental/mind-altering effects. Tracks like “The Liminal Pilgrim” and “Autochthon” are both brilliant examples of Arktau Eos ability to use their large array of sonic tools to dig deep into the consciousness of the listener, without sticking too closely to the standard ritual/tribal framework. 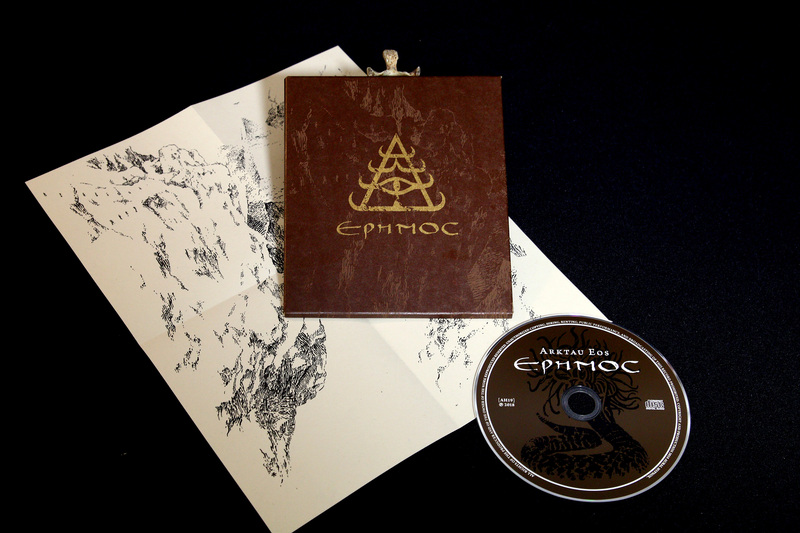 Arktau Eos have created a truly brilliant album in Erēmos. The sounds presented here are able to touch the listener in a multitude of different ways. We can close our eyes and imagine this world, which Arktau Eos have illustrated, unfolding before us. We are able to travel through time and space to a destination which only exists in our own minds, but is highly detailed nonetheless. Erēmos doesn’t contain a moment of the sort of primordial ritual ambient which was more prevalent on earlier Aural Hypnox releases. The evolution of their sound has kept the authenticity and subliminal power of its foundations, but they have moved into territory which is much more diverse from moment to moment and capable of conveying more specific visuals through sound. This would be an essential album to show those readers or their friends which are unfamiliar with Aural Hypnox. The Arktau Eos sound is possibly more focused and more effective here than at any time in their past. The project, like the rest of the label, just seems to keep increasing in quality with each passing year.